It is wonderful to go for a ride with your children in spring or summer. Biking around with your children in the box, enjoying the sunshine and warm summer breeze. However, don’t forget to protect yourself and your children from the sun!  Babboe will lend you hand with our sunroof. Sunroofs are now available for every cargo bike model. Sunroofs are now available for every Babboe cargo bike model. Babboe Big sunroofs are available in red, while Babboe City sunroofs are available in dark blue. Babboe Curve sunroofs can be ordered in sky blue. It doesn’t matter whether you have a non-electric, electric or mountain model cargo bike when it comes to ordering a sunroof. The sunroof is easy to mount. Simply use the tent poles that come with the rain tent. Fit the sunroof over the poles and fasten it using the elastic bands. You don't have a rain tent yet? No worries, the tent poles can be purchased separately. They do not come standard with the sunroof. However, the rain tent does come standard with poles. The rain tent will keep your children warm and dry. They are protected from rain and strong wind. In the summer however, it’s a totally different story. Summers in the Netherlands are becoming increasingly warmer. It’s nice for your little ones to be protected from the sun when it’s hot. In full sun it gets hot fast under the rain tent. The sunroof is made from a different type of material, moreover a nice summer breeze can blow right through it. Riding around in the cargo bike will feel like a summer party.